Aren’t these playful. Fun to go out with or sophisticated along your black dress. You choose. 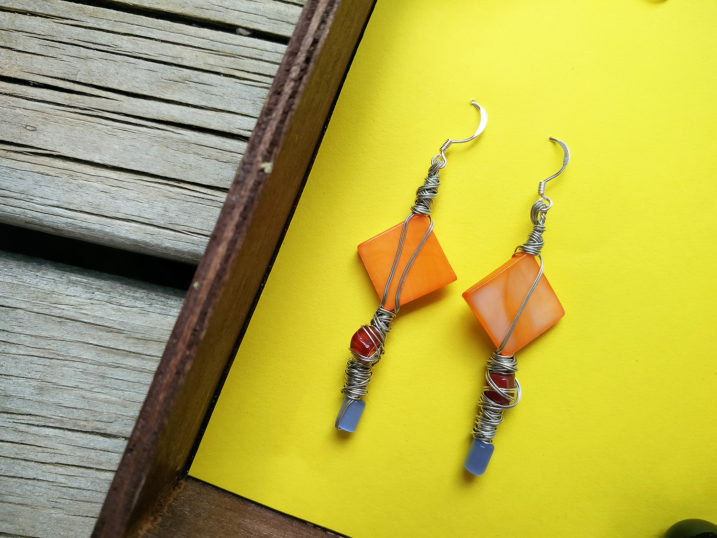 These unique, handmade, dangling earrings are made with wire and colourful beats. No one else with have anything like them.